2018 was my first year trying out this convention. I heard they were bought out by Fan Expo this year. A lot of people have noticed a decline in organization and penny pinching since this. I heard volunteers used to receive food previous years but now under Fan Expo, no longer do. The staff were incredibly unhelpful and and unapologetic with various troubles that came up throughout the weekend that was their fault by the lack of organization. The Sunday was the worst day as it was raining and the roof was in total disarray and started leaking and raining inside in various spots. More than 4 that I spotted. Staff of both the Expo and the Stampede grounds were completely unhelpful. All they wanted to do was blame the other. No one would offer a solution or any compensation for the disaster that was Sunday. I heard the building hasn't been properly repaired since the flooding in Calgary from 2013, so it feels like this isn't a new problem the venue (big four building). Pros of this year: They did really try to work on foot traffic for the Big Four building. I always heard that selling in the Big Four was much worse than the BMO. But this year was actually quite good. However I heard from those over in the BMO it suffered in sales and foot traffic for them. They still need to reach a balance I think between the two. If you were placed in the BMO building then you would be golden but if you get placed in the Big Four building then you better bring a game or something to keep yourself entertained because literally nobody knows that there are more artists and vendors in this building. Not even the staff. I was in the god forsaken Big Four Building and this review really only covers my perspective as an artist stuck in this area of the con. Don't get me wrong, the staff were sweet and even helped me pull my carts but they also had no idea where I should go and dragged me to the wrong building before being redirected back to the correct one. The bright side is that food was downstairs and people that felt overwhelmed with the Bmo building really appreciated the Big four so they could quietly browse and calm down. If you live in Alberta it's definitely worth the travel and trial but live anywhere else and it's a gamble. The attendance is high but like Fan Expo, they count their "people" twice or three times over depending on the tickets they purchase. If you luck out and are in the BMO building you are solid! Most of the traffic is pushed that way and it'll be packed all four days. If you're in the big four building you will be hit or miss as the staff dont' do much to direct traffic and many of the staff or volunteers didn't even know where the Big Four was let alone properly directing people too it. They even had big name guests in it during 2016 and that didn't even bring the crowds in. Staff and volunteers are extremely not knowledgable in what to do if something goes wrong. If a thief is caught, staff get the artist or individual who caught them to confront and do absolutely nothing on their end. Thieves who are caught one year will get to return next year, and staff/volunteers do not even enforce their height restrictions or content restriction rules. Overall, if you're near alberta or BC, try it out! If your style is more anime though, I'd avoid this convention and to Otafest instead. If you're travelling from ontario or further away, I'd advise trying closer conventions like Fan Expo to gaige if your product will do well in a comiccon environment. 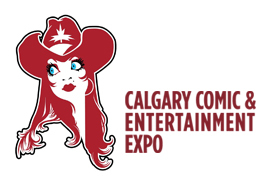 Fan Expo and Calgary expo are almost mirror images of each other despite being run by different people and the buyers are near the same. Convention used to be major a few years ago, but since Alberta's recession and economy is extremely low, people are on tight budgets and don't have the money to spend like they used to. Not only that but ticket prices to get in are a bit outrageous for families to afford . Great show... if you can get in. Even though it costs a bunch for the table and travel, I was easily able to make my costs back. Great attendance, and people come to spend money. I did really good despite being over in the second artist alley. The staff are super helpful too. They allow people to rebook their tables early, so once your in its great, but trying to get a table for the first time was really insane. I signed up 8 minutes after the webpage went up and was on the waitlist for 9 months. I love this show so much. Everyone is super friendly, the AA location is great, attendees really love doing the artist loop, and I think all the artists do really well even with how big the alley is. I've been tabling at this show consecutively since 2007, and it is always one of my most profitable shows. It's first come, first served for tables, and all vendors who were there the previous year are guaranteed a table if they want it. So the waiting list is very long. This is a four day convention, with approximately 100K attendees as of 2015/2016. The AA is positioned well instead of tucked away, we get lots of traffic in the area. There is also a SECOND AA due to demand, in a separate building. Lovely staff and very organized check-in.